Denver Botanic Gardens is offering an array of gifts for sale during its annual holiday sale from 9 a.m. to 5 p.m. Friday and Saturday at the Gardens’ York Street location. More than 50 vendors will sell one-of-a-kind, handcrafted holiday items, bath and body products, pottery, jewelry, specialty foods, clothing and antiques. An assortment of gourmet vinegar, herb blends and soaps made by Denver Botanic Gardens Guild will also be sold. 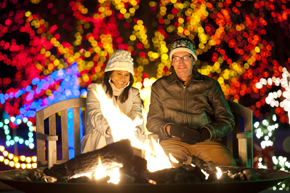 Admission to holiday sale, which also grants access to the Gardens, is free. Botanic Gardens Members receive a 10 percent discount on all gift purchases at holiday sale when they present their membership cards. More information at www.botanicgardens.org. Dale Chihuly, the “it man” in the world of art glass, clearly prefers to let his stupendous pieces of spectacular art speak for themselves rather than pontificating on his work. During a five-minute media meet-and-greet last week, Chihuly politely posed for pictures in front of the Monet Garden Pool at the Denver Botanic Gardens where an installation of the artist’s genius dots the grounds. The exhibition runs through Nov. 30. He answered a couple of questions while cameras, notebooks and tape recorders pressed in. This man of few words lets his art do the talking, and it has a lot to say. The exhibit, which features installations (some designed specifically for the Denver Botanic Gardens) at 14 sites is a don’t miss opportunity to bask in colorful beauty. Now that I’ve seen the show during the day, a nighttime return is on my short list. This is the Rocky Mountain Region’s first major outdoor exhibition of artwork by the celebrated American artist. Chihuly’s sculptures – ranging in size and form – add bold colors and dramatic beauty to the Gardens’ 24-acre urban oasis. Chihuly is credited with revolutionizing the Studio Glass movement and elevating the perception of the glass medium from the realm of craft to fine art. He is renowned for ambitious architectural installations around the world, in historic cities, museums and gardens. While I was oohing and aahing over the Saffron Tower & Cattails in the Elipse Garden, a 30-foot-tall creation made of 312 hand-formed yellow neon tubes, the artist, decked by “handlers”, rode up to the site in a golf cart. I asked him what he was thinking as he gazed at the Saffron Tower. “It has a lot of power, especially at night,” Chihuly said. Well said. For more information and to buy tickets, go to www.botanicgardens.org/exhibits/outdoor/chihuly/about. 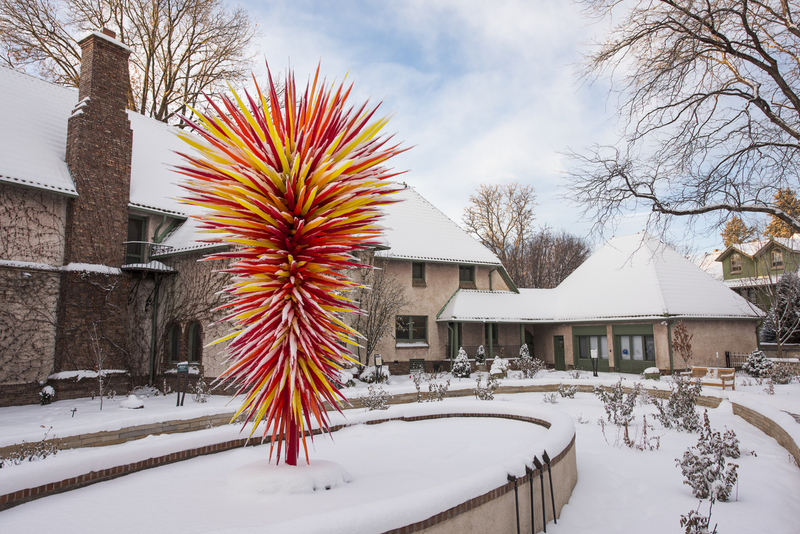 Denver Botanic Gardens will present the Rocky Mountain region’s first outdoor exhibition of artwork by celebrated American glass artist Dale Chihuly. His dramatic sculptures will be on view June 14 through Nov. 30. Chihuly is credited with revolutionizing the Studio Glass movement and elevating the perception of the glass medium from the realm of craft to fine art. He is renowned for his ambitious architectural installations around the world in museums and gardens. In Denver, vibrant sculptures will be displayed throughout the Botanic Gardens, responding to plant and architectural settings. 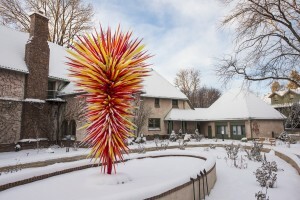 The art – ranging in size and style from small water floats to large vertical installations – adds bold colors and dramatic beauty to the Gardens’ 24-acre site. Highlights of the exhibition will include special programming and after-dark viewing hours. Chihuly’s work is included in more than 200 museum collections worldwide including the Metropolitan Museum of Art, the Smithsonian American Art Museum and the Corning Museum of Glass. Exclusive downtown Denver hotel packages are now available, featuring VIP, skip-the-line tickets and other special offerings through the run of the exhibition. For more information, go to http://chihuly.denver.org/hotel-packages/. The historic mistreatment of wild horses is examined in the film “American Mustang,” which chronicles an emotionally charged journey through a tenuous landscape dotted by ranchers, wild horse advocates, government agencies and the American people. The film screens at 7 p.m. Nov. 7 at the SIE FilmCenter, 2510 E. Colfax, as part of the 36th annual Starz Denver Film Festival. The movie-lovers madness opens Nov. 6 with an 8 p.m. screening of “Labor Day” and runs through Nov. 17. In her filmmaking debut, “American Mustang” producer Ellie Phipps Price, vintner and animal welfare advocate, brings her passion for protecting wild horses to the big screen. “American Mustang” is a feature film, shot in eight Western states with wild horses filmed for the first time in 3D. Threaded into the narrative is the story of a girl, a cowboy and an American icon – the wild horse. The film encourages protection of America’s wild horses while being aware of the reality of limited grazing and resources on the open range. The film is narrated by actress and activist Daryl Hannah. Throughout a 30-year film career, Hannah has starred in more than 40 feature films, and has created numerous iconic roles in successful, critically acclaimed and enduring movies. Collaborators on “American Mustang” include director Monty Miranda who worked closely with writer and co-producer Henry Ansbacher and executive producer Phipps Price. Phipps Price and Ansbacher co-wrote and developed the characters based on extensive interviews that create a rich palate of voices for the film. The interviews are with people who are on the front lines of the battle over preservation and management of wild horses – a contentious issue that incites strong emotions from every side. Phipps Price spent her early years in Colorado, studied film at University of California, Berkeley and currently resides in Sonoma, Calif., where she produces Dunstan Wines from the Durell Vineyard. She adopted her first mustang, Dunstan, from the Bureau of Land Management holding facility at Cañon City in 2009. Recently, Phipps Price established a 2,000-acre wildlife preserve for wild horses in northern California. “I am thrilled to be coming home to Colorado for the launch of ‘American Mustang’ – a film about these amazing and beautiful animals that have captured my heart,” she said. Director and former Denver dweller Miranda attended the University of Colorado to study film and journalism and currently lives in Los Angeles. His career includes credits for the memorable TV commercials for John Hickenlooper’s mayoral campaign. Miranda’s feature-film directorial debut, “Skills Like This,” won the Audience Award for Best Narrative Feature at the South by Southwest Film Festival. Colorado-based Ansbacher of Just Media focuses on film projects that have a history of bringing change, social justice and raising awareness about environmental issues. Ansbacher’s film “The Last Campaign of Governor Booth Gardner” received an Academy Award nomination for Best Documentary Short. More information on the movie at: www.americanmustangthemovie.com. 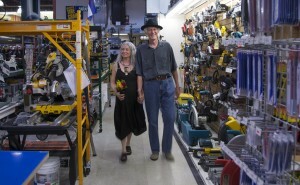 For screening times and to purchase tickets, go to: http://www.denverfilm.org/festival/film/detail.aspx?id=25922&FID=77. To learn more about the 36th annual Starz Film Festival and the featured movies, go to http://www.denverfilm.org/festival/index.aspx. I told you on last week that Lakewood was included in the Top 100 Best Places to Live on liveability.com’s inaugural ranking, but that was only part of Colorado’s prized participation. Culinary Colorado’s Claire Walter (thanks, Claire!) pointed out that there’s more to the story. While Lakewood ranked No. 88 (besting Scottsdale at No. 89), Aurora scored No. 49, and Boulder came in at an impressive No. 2. Topping the lauded list was Palo Alto, Calif., which I’m proud to say is my hometown (think Stanford University, John Elway, Eddie McCaffrey, Andrew Luck, etc.). “The list was created in partnership with the Martin Prosperity Institute, the world’s leading think tank on the role of location, place and city-regions in global economic prosperity. The list was produced after studying U.S. cities and factors that make them the best places to live, work and play,” according to the Livability.com website. Factors included in the Top 100 ranking included good schools, hospitals, amenities, affordability and the local economy. Read more at http://livability.com/top-100-best-places-to-live#/palo-alto/ca. 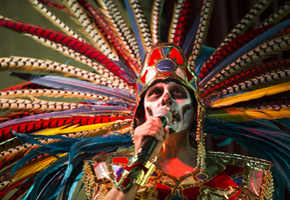 Denver Botanic Gardens continues its annual celebration of Día de los Muertos (Day of the Dead), a Mexican day of remembrance and honor for the departed, with expanded programming this year. In Mexico, streets near cemeteries are filled with parades, colorful decorations, flowers, candy, skeletons and skulls. It is believed the spirits of the dead visit their families Oct. 31 through Nov. 2. Families make altars with a photo of the deceased, along with offerings of food, candles, incense and yellow marigolds. The Gardens will observe the tradition with an all-ages celebration of Latino music, food, art and history on Friday. All events take place at the York Street location. For tickets and more information, go to: http://www.botanicgardens.org/events/special-events/d%C3%ADa-de-los-muertos. The Washington Redskins lost to the Broncos Sunday, but head coach Mike Shanahan’s team will eat like winners on the plane home. Shanahan told 104.3-FM The Fan on Friday his team will nosh on Shanahan’s Steakhouse fare on the plane ride home after Sunday’s game against the Denver Broncos. Shanahan also noted he wouldn’t have time to visit his signature steakhouse in south Denver. Ace Eat Serve at 501 E. 17th Ave. will be the place to catch all the Denver Broncos football action this season where the games will be shown on one of two projection screens. Happy hour specials for the entire game (menu at www.acedenver.com/menus/happyhour). And, tap into your own competitive spirit with free Ping-Pong as long as the Broncos are playing. Tables can be reserved in advance, and for the entire length of the game. Get your reservations now for the next game (Broncos vs. Chargers on Nov. 10 since Sunday is a bye week) at 303-800-7705. Free Ping-Pong and extended happy hour specials will be available during all Broncos home and away games for the rest of the 2013 – 2014 season. The “dolphin trainer” actor in the Colorado Lottery commercial (created by local ad shop Cactus) shopping Thursday at Whole Foods Market on Hampden. He wasn’t spotted in the fresh fish section. Did you hear that I have a new column, “Mile High Life,” in Colorado Community Media’s 17 weekly newspapers circling Denver? Be sure to like my Facebook page! Also, here’s where you go to get my column emailed to you Mondays, Wednesdays and Fridays. My email: penny@blacktie-llc.com. Want to advertise your business here? Contact Trisha at trilind@hotmail.com. So what would it take for Judi Wolf and Cleo Parker Robinson to perform on stage together? 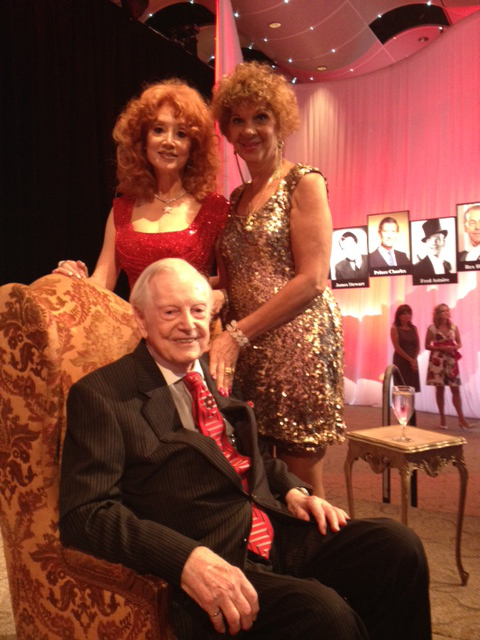 Donald Seawell’s 100th birthday. On Aug. 1, those of us who were lucky enough to be invited to such an illustrious affair inside of his namesake ballroom, witnessed several testimonials to Seawell, free run 6 femmes who’s made an indelible mark on this city’s theatrical heritage. But the most entertaining moment came when Wolf and Parker Robinson kicked up their heels in their version of “My Heart Belongs to Donald”. Sabor, the annual food fest to support the Hispanic Chamber of Commerce, was a great success at the Denver Botanic Gardens last week. Restaurants came out to supply best bites while supporting the Chamber. The nearly sold-out affair was muy caliente y sabroso. Que bueno! The right hand will know what the left hand is doing when Euclid Hall Bar & Kitchen, 1317 14th St., joins hands with Left Hand Brewing Co. at 7 p.m. Aug. 13 for a left-handed dinner and beer fest celebrating National Left-Handers Day. Guests should expect left-handed surprises throughout the event. Right-handed participants are welcome as well. Euclid Hall chef de cuisine Jorel Pierce has prepared a multi-course menu paired with favorites from Left Hand. Menu and reservations: www.euclidhall.com or 303-595-4255. The Grand Hyatt Denver’s general manager Greg Leonard recently announced the opening of Pub 17, the hotel’s new restaurant on the corner of 17th and Welton. The new pub aims to capture the mood and flavor of the Mile High City by providing neighborhood microbrews, regional wine and fun food fare. Pub 17 prides itself for serving a bounty of locally grown produce, artisan cheeses and premium meats. Menu items include the Mile High Reuben or chef de cuisine Jay Leandro’s interpretation of mac and cheese. Other menu stand-outs include a Western-style herb roasted bone marrow. Every signature dish complements a list of local microbrews. Reservations: 303-295-1117 or www.pub17denver.com. This month’s edition of Food Network magazine free run 6 v2 femmes includes a bit called “You can eat like a football player,” restaurants are kicking off football season with dishes named after NFL players. Two of my favorite QBs get the nod with Drew Brees’ Breesy Beef Mac and Peyton Burger. The Breesy Beefy Mac is a fave rave for the New Orleans Saints QB who eats the ground beef and macaroni before every game. A chef at the Ritz-Carlton apparently added a version with béarnaise sauce, andouille sausage and ground beef to the menu. On Manning’s behalf, locally based Smashburger announced that Colorado locations would serve an off-the-menu Peyton Burger topped with orange hot sauce and blue cheese in honor of Broncos’ colors. The Palm in the Westin Tabor Center has secured back its free valet for lunch and dinner. That’s good news to those of us who drive to the steak place and bristle at paying to park. The On the Town family recently had an amazing dinner at the restaurant located at 16th and Lawrence. Reservations: www.thepalm.com/denver. Denver lost a major player in the theater community when Robert “Bob” Garner died after a short illness Thursday in his home. He was 80. Garner, whose name graces the Garner Galleria Theatre, the cabaret-style showroom inside the Denver Center for the Performing Arts, was a pioneer in bringing Broadway touring shows to town as the head of Denver Center Attractions. He was a fixture on opening night nike lebron 11 performances for all the major productions that brought their shows here. In addition to theater, Garner was passionate about cruising, which he did frequently with his theater pals. He was that guy that you wanted to hang out with during a pre-performance cocktail party, dinner or a post-party because he always had the best stories, and wasn’t allergic to a little harmless gossip. I’ll miss his enthusiasm, energy and that twinkle in his eye when he had something juicy to share. Opening night performances will be missing a big fan. Walk Like a Man (or Woman), and get yourself to the Broadway hit Jersey Boys, the Story of Frankie Valli & The Four Seasons, now playing through Aug. 11 at the Buell Theatre. If you are of a certain age (like me), you will be able to sing along to all 35 songs the fab four perform during the musical about the group’s rise and fall from fame. It’s the story of four Italian-American youths from New Jersey growing up in the 1960s who easily could have chosen prison over music. But instead, they pushed out hit after hit but not without personal sacrifice. One of the show’s highlights is back to back presentations of Sherry, Big Girls Don’t Cry and Walk Like a Man. The crowd goes wild. “At that moment the audience has forgotten they’re watching four actors, and they root for these four guys as though they really are the Four Seasons in their youth,” Rick Elice one of the show’s Tony-nominated book writers told Applause magazine. Salt on the Rim, a food-and-margarita fundraiser to benefit The Kempe Foundation and Kempe Center for the Prevention and Treatment of Child Abuse and Neglect, starts at 5:30 p.m. Friday at the Denver Botanic Gardens. Featured restaurants and caterers include Brio Tuscan Grille, Chinook Tavern, EDGE at the Four Seasons Denver, The Food Guy, Hard Rock Cafe, Japoix, Lifestyles Catering, Lime, Mezcal, The Palm, Piatti, Sam’s No. 3, 16 Mix Cocktail Lounge at The Sheraton Downtown, Twisted Pine Brewing Co. and Zink. Tickets are $100 at: https://www.blacktie-colorado.com/online_sales/rsvp_ticket_purchase.cfm?rsvpid=6556 . The Ritz-Carlton Denver is featuring dishes inspired by executive chef Justin Fields recent travels abroad with a Pop-Up Dinner and Film at 7 p.m. Saturday. Guests will be served a multi-course French-inspired dinner paired with a showing of the classic film La Femme Nikita and served on the outdoor plaza. The cost is $75 per person plus tax and tip, or $125 with wine pairings. Reservations and more information: 303-312-3826 or e-mail allyson.fredeen@ritzcarlton.com. When the Seattle-based kitchen store opted to nike zoom hyperrev leave the Cherry Creek Shopping Center last April, the store announced it would move to new bigger digs across the street at 121 Clayton Lane. A sign on the door says it’s opening Friday. This new location will have room to offer cooking classes in addition to kitchen gadgets and goodies. Brandon’s Pub, the hybrid Mexican food place and sports bar at 3027 E. Second Ave. in Cherry Creek North, has closed its doors. The phone is disconnected, and there was a notice printed in Westword about an auction for the restaurant’s contents. Brandon’s opened in Cherry Creek in May 2010, after moving there from the Beauvallon on Ninth and Lincoln. 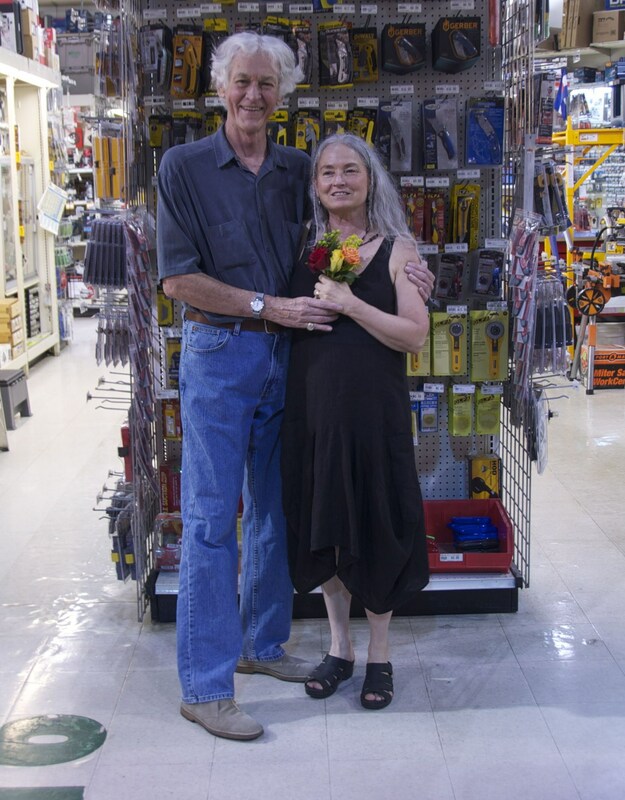 Becky McKernan, widow of Tim “BarrelMan” McKernan, the longtime fixture at Broncos games, is hosting a fundraiser from 5 to 8 p.m. Thursday at Wystones Tea, 7323 W. Alaska Drive, Lakewood. The evening will include a silent auction plus player autographs from Ron Egloff, Dave Studddard, Billy Thompson and Larry Brunson. One-of-a-kind barrel art work from local artists will be available for purchase with 100 percent of proceeds going to the Barrels of Love foundation.